The New Year has already begun, the holiday season and 2017 are gone. There is a whole new year waiting for owner operator trucking and we at Status Transportation want to help you make it a great one. List your goals to improve your trucking career by focusing on resolutions that will take you to next level this year, keeping them realistic on what can you do different but also not forgetting about the ones that have been working and you will like to maintain, not all resolution have to be about change. Many owner operators are humoring of the last year resolutions they listed, noticing that many of them give up on the first two weeks of the year, and by December 2017, most truckers are back where they started, often even further behind. This is why it is important in owner operator trucking to know how to keep and accomplish your resolutions, not only tossing the list on the glove compartment hoping they will come to fruition by the end of the year. Continue reading to find out how to make SMART resolutions for this career, learn the common reason why most truckers fail to accomplish them, and you will get the top 5 resolutions we recommend to make your life as an owner operator better and easier. Start asking yourself something easy that will get you in the mood of thinking that you are capable of change and that it is beneficial to do so, and start writing them down on a piece of paper. Think what you did differently last year that help you in any way even if it is something small, it doesn’t matter, something that went well and you would like to maintain doing this year for your owner operator trucking career. They might have been simple things like subscribing to an owner operator trucking magazine or a blog where you got valuable information for your career, some money saving tips you apply and worked, companies that you worked with and made you feel comfortable or help you earn more money that you will like to keep. New ways you figure out on how to sleep better, maybe you replace some bad food or drink for a healthier one or you probably arrange your schedule to see your family more often, or some new ways to keep your owner operator trucking maintenance schedule at a low cost. Little changes that you might be taking for granted that improve your work, health, economy, and family in 2017, write them down to get you started appreciating the good change you have already done and that you would like to maintain doing this year and make this your first resolution. I assure you it will be feeling good after you’re finished, and you will want to continue the improvement in 2018 knowing that you can achieve your goals little by little. Remember that the secret to happiness in owner operator trucking is progress, even if it is a small one and don’t forget to give yourself credit for it. Now let’s continue with the rest of the resolutions, you already have your list of what worked last year, now you want to make new realistic goals that would make you feel proud of yourself by achieving, you don’t want to tackle larger goals that you know you probably won’t do anyway and end up feeling worse for it. New Year’s resolutions for owner operator trucking do not need to be daunting they have to be compelling; they have to make you feel good just by thinking of them not a hassle. That is why it is important that you list thing that you want to do not things that you want to stop doing. It may seem like it is the same, but trust me it is the difference between achieving them or breaking them. 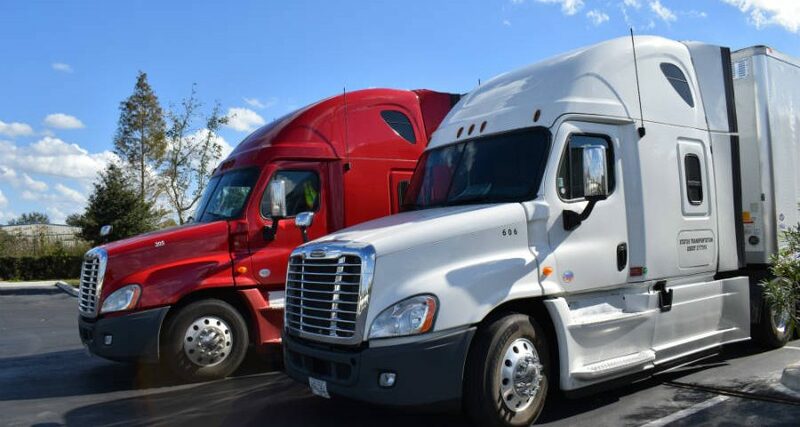 Establishing a clear vision of resolutions, it is essentially accepting that it will require some changing behaviors in order for you to succeed in owner operator trucking; you have to modify your thinking and rewire your brain. Wanting to change that default thinking “avoid doing it,” in effect just reinforces it. Instead, you have to have a clear vision of what you are going to get that it pulls you into it, and not to push yourself to get it. It has to be so appealing to you that you will think of it every day until you get it.Check this Tony Robbins video on New-Year New-Life. Lose weight, instead write: put on and zip up those jeans in your closet. This is an image you can easily have in your mind of how good it feels to get in those jeans again, and if have them always in your truck, it will be a constant reminder of your goal. Get out of Debt, instead write: increase my owner operator pay income by 20 or 30%. You can do this by getting more miles, investing your money, selling things online, etc. When you set a goal like this, you open your mind to new possibilities, instead of thinking of debt. Work less time, instead write what will you do with that extra time, for example: spend more time with my family or friends, get more sleep, volunteer, etc. Anything that you will enjoy that time. Stop smoking or drinking, instead write something that is more gradual with a complement, for example: if you smoke 1 pack a day write an objective to 1/2 pack and run a mile per day, or if you drink 2 days a week write 1 day a week and drink more water. Or maybe just start by visiting your doctor, watching your health has its benefits in owner operator trucking. Stress less, instead write; have more fun at work, play with my kids more, learn relaxing techniques; learn a new hobby, etc. Try to visualize you enjoying more of the things you like instead of avoiding stress. Have no accidents or tickets, instead write: Drive safer, always be on time, complete my pre-trip safety routine every time, enjoy driving under the speed limit. The idea is to focus on what you want to see happen and not to be stressed-out about what might happen. Resolutions are different for each person and normally they are related to career, health, family, finances, etc. Consider these tips that will help you triumph in owner operator trucking or if you are going to make New Year’s resolutions for any area of your life. Write it down in a form of commitment that applies to owner operator trucking. Finally, do not take yourself so seriously. Have fun and laugh at yourself when you slip, but do not let the slip distract you from your goal. Is your resolution a goal, a wish or a dream? 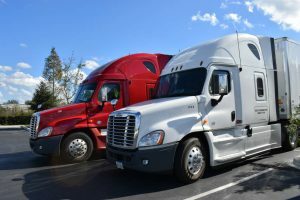 One of the reasons why many owner operators fail on the resolution is because they get confused on the difference between goals, dreams, and wishes; they often use the terms dream and goal as if they are the same thing. This tiny confusion is the difference between true success and just getting by. So let’s clarify this terms with their accurate definition for you to make sure that you will accomplish your resolutions. Wishes, when a person potentially desires or wants something but is not ready to put in any effort to obtain it or does not want to commit to actually doing them. Dreams, they tend to be the substance of our imagination, a progression of thoughts, images or feelings passing through the mind, the things on which we pin our optimistic expectations for the future. A dream without a plan is nothing more than a wish. Goals, they derive from your dream they are usually called a dream with a deadline. It must have a measurable outcome and therefore a measurable starting point, the baseline or as might heard the “Before” and goal should be the “After” state of the situation to which effort, resources and time are directed. Now that we understand, the important differences let’s not forget that the word Resolution comes from the verb resolve, which comes from Latin resolvere, “to loosen, undo, settle, solution”. With this in mind, which definition will best help you to resolve the current situation you want to change? Obviously the goal, right? Then is imperative for owner operator trucking that you write your resolution as a goal. Because if you write them only as a wish list, we understand is the list of all the things really desire this year, but if you do not commit to pursuing them will never get you to the ultimate destination. If you review your resolution listing and realized they were just a wish list, don’t get disappointed you simply convert it into a dream then establish a deadline to make it a goal and it is ready. Obviously, you might find a few wishes that you no longer want after consideration, that is ok, justs remove it or them and choose something else that fits the goal criteria instead. If your listing was dreams only, we encourage you to do the final step and include a plan and date. Do not forget that a goal is simply a well-defined dream. Dreams can be huge and seem unlikely at first glance. Some dreams could look 2, 5 or 10 years into your upcoming future life, so make sure that your listing is for just this year. Dreams become your final destination, on the other hand, goals are only the milestones along the way. Keep in mind that your dreams are exactly what you want the result to be or feel like, while your goal is the plan that will take you eventually to your dream. Your dreams and your goals must support each other in order to succeed in owner operator trucking. Having only goals and no dreams will make you lose sight of your destination or rush into deception forgetting why you were pursuing them at all. Having just a dream without any goal attached to it to help it become a reality, you will probably feel a little crush by the flagrancy of that particular dream. We suggest having goals with a short-term approach that will supply attainable transitional goals that you can use as stepping stones right directly to your dreams. Keep your eyes open though, because you could fail to notice brilliant opportunities on the way that could allow you to skip a few steps on the way ahead. In order succeed in owner operator trucking, we at Status Transportation recommend changing your mindset from the thought of should to must. If you think of your resolution as a list that you should probably do, it’s a mindset that won’t get you moving toward your goals. If you rather say that you must work on your resolution list, it’s a completely different emotion that will definitely help you get there. 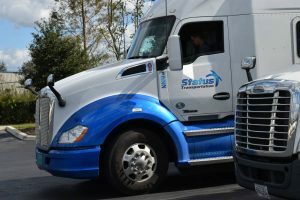 Subscribe today to the Status Transportation blog for this and other useful posts on how to become a successful owner operator.